Research In Motion is pushing its fourth attempt to dethrone Apple's iPhone with the new all-touchscreen BlackBerry Torch 9850/9860. The new smartphone is the biggest BlackBerry yet with a 3.7-inch display, and continues the legacy of RIM's keyboardless Storm phones, albeit with a revamped BlackBerry 7 OS, which sports a redesigned virtual keyboard. RIM has not detailed when and for how much the new Torch will retail. The company did say the Torch 9850 will work on GSM carriers (e.g. AT&T) and the 9860 with CDMA networks (e.g. Sprint). Both models (identical except antenna chips) run on a 1.2GHz processor, with 768MB of RAM. The 3.7-inch display's resolution is 480 by 800 pixels, which is still below the resolution and pixel density of Apple's Retina display found on the iPhone 4. 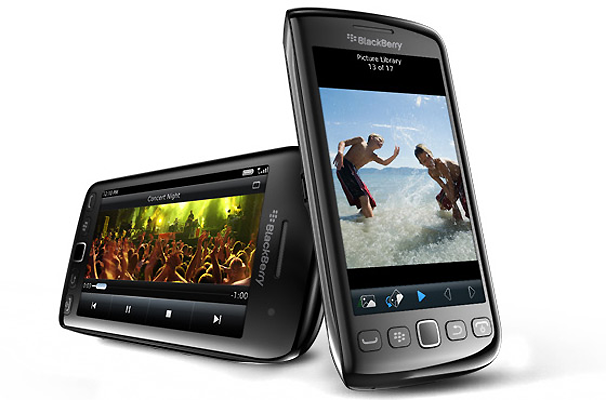 The new BlackBerry Torch will also feature a 5-megapixel camera with flash and 720p HD video recording, which is the equivalent of what's found on the year-old iPhone 4. 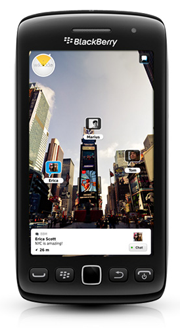 However, unlike Apple's smartphone the new RIM smartphone does not feature a front-facing camera for video calls. The front of the device is occupied by the 3.7-inch display, a speaker grille, and a light sensor at the top; an optical trackpad centered by four hardware buttons (pick up/hang up calls, menu and back) is present at the bottom. The "fall over," the device's edge design feature, is something RIM calls internally as "The Waterfall." Slenderness, battery life or on-board storage on the new Torch are nothing to write home about. The 9850/9860 is slightly thicker than the iPhone 4 (11.5mm compared to 9.3mm on the iPhone), claimed battery life from the 1230mAh removable battery is a few hours below the iPhone's, and the Torch just comes with a 4GB built-in storage (expandable to 32GB via microSD). The upcoming BlackBerry Torch 9850/9860 sounds like an improvement from previous RIM devices, but the phone is a mere catch-up to the iPhone and high-end Android phones from last season. While its features may look good on paper now, by the time RIM's new Torch is actually launched (remember, no price or launch date announced), the phone might look outdated compared to expected Android and Apple advancements this fall.